How has the spectacle changed in 53 years? Would you move your wedding if it fell on Super Bowl and your team were playing? 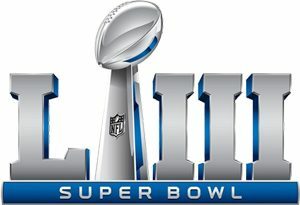 January 29, 2019 — NEW YORK–(BUSINESS WIRE)–Millennials, famously, are more interested in enjoying experiences than making big purchases, thus it should be no surprise they want more from the Super Bowl besides the spectacle of the game, funny TV ads and an entertaining halftime show. From emerging gambling opportunities to an e-sports connection, Millennials want the Big Game to be even grander, according to a national survey measuring fan sentiment conducted by the Fan Experience sports and entertainment specialty of BCW (Burson Cohn & Wolfe) and fielded by research firm PSB. While gambling and the Big Game are already prevalent at house parties and office pools, sports gambling is set to play an even bigger role as several states have already legalized sports gambling and more are considering similar legislation. Millennials are ready: 67 percent say they are more likely to bet on the Super Bowl than any other sporting event, while 46 percent of Gen Xers and 29 percent of Baby Boomers say the same. Further, more than half of Millennials (54 percent) say that betting on the game gets them more excited about watching, with 58 percent saying betting on a game affects how long they will stay tuned. For Baby Boomers, only 18 percent say gambling on the Big Game affects how long they will watch. E-sports is an example of a new opportunity driven by Millennial interest. A global phenomenon expected to generate revenues north of $1.5 billion by 2020, according to estimates, with users reaching well into the millions, e-sports and the Super Bowl can provide younger generations with game tie-ins as exciting and endearing as the advertisements have become. Half of Millennials surveyed said they would consider watching an esports event associated with the Super Bowl; only 16 percent of Boomers say they would do the same. BCW is one of the world’s largest full-service global communications agencies. Founded by the 2018 merger of Burson-Marsteller and Cohn & Wolfe, BCW delivers digitally and data-driven creative content and integrated communications programs grounded in earned media and scaled across all channels for clients in the B2B, consumer, corporate, crisis management, CSR, healthcare, public affairs and technology sectors. BCW is a part of WPP (NYSE: WPP), a creative transformation company. For more information, visit www.bcw-global.com.